Portugal Holiday Guide - Fully Updated for 2018! Portugal Holiday Guide - Fully Updated for 2019! Portugal is a country that effortlessly combines culture, heritage and liberal attitudes to create one of Europe’s finest holiday destinations. The relatively small size of Portugal conceals a country that is rich with history and diversity, and will ultimately appeal to a wide variety of tourists. Portugal has been blessed with a glorious climate and stunning natural scenery, and this includes the beautiful sandy coastlines that summer time tourists flock to. 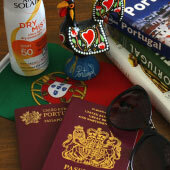 As a people, the Portuguese are welcoming and hospitable, and the whole country has a relaxed and unhurried ambience. The economy of Portugal relies heavily on tourism, and the government has actively encouraged investment to ensure there are world class facilities, outstanding hotels and excellent tourism services. Exploring and travelling around Portugal is hassle free, with empty roads, extensive public transport and English is widely spoken by everyone who works within the tourism industry. Portugal provides exceptional value for money, especially when compared to other European countries, and is ideal for an extended backpacking trip or last-minute holiday. Portugal is a fantastic location for a holiday, backing-packing trip or a cultural tour, and this guide will provide a high-level introduction to Portugal with links to further in-depth guides. Portugal has a wonderful climate of hot summers, pleasant spring and autumns and mild but unpredictable winters. The southern coast of Portugal (the Algarve) receives the most sun and the weather is warm enough for the beach from May through to the end of September. July and August are the height of the tourist season and most major resort towns will be completely sold out. During the summer, the interior of Portugal is incredibly hot but is a dry heat, without any oppressive humidity. The spring and autumn seasons are the best time of year to visit Portugal. 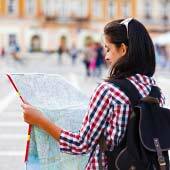 The weather is slightly cooler, the tourist towns are less crowded and there will be space in hotels. Portuguese winters are mild, but there can be an equal number of wet days as dry days. If visiting during the winter stick to the larger cities. One article could never hope to provide enough detailed information to plan a holiday to Portugal, but this section will try to summarise the main holiday regions of the country. Our key advice for visiting Portugal is to just to stick to one region and explore it in-depth, never plan to see the entire country in just a single week. The majority of visitors wanting a beach based holiday head to the glorious southern coastline, which is known as the Algarve. The central Algarve (between Praia da Rocha in the west and Vilamoura in the east) is the most popular section, with huge hotel complexes and a vast array of restaurants, bars and other tourist services. These resort towns have an enjoyable buzz during the summer season but due to their popularity need to be booked far in advance as they do sell out. The central Algarve towns still retain their traditional character and charm but for a more authentic Portuguese experience head to the eastern Algarve (primary Tavira) or the far western side, around Lagos. 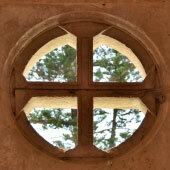 For a guide to the Algarve please click here. Lisbon is the vibrant capital of Portugal and offers delightful historical districts, an extensive history and lively nightlife. There is a lot to love about Lisbon and the city is starting to become a year-round holiday destination. A typical visit to Lisbon is three days, ideal for a city-break, while the numerous excellent day trips can easily extend a trip to one week. Lisbon is surrounded by a beautiful coastline of sandy beaches and this can make for a suitable alternative to the Algarve. For a guide to Lisbon please click here. Porto is the second city of Portugal and is famed for the alcoholic drink Port, which is matured in the vast cellars that line the banks of the Douro River. Porto is a historic city, with a completely different ambience to Lisbon, and takes around two days to fully explore. 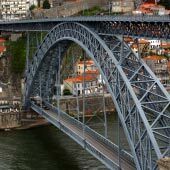 There are many enjoyable day trips which can again easily extend a holiday to a week. . For a guide to Porto please click here. Outside of these three main tourist areas visitor numbers quickly drop off but they only cover a small fraction of Portugal. 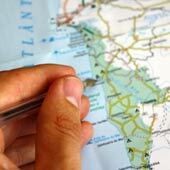 Other highly recommended regions include the Alentejo, Coimbra, Central Portugal and the north of Portugal. The Alentejo are the arid lands of eastern Portugal, which are filled with rolling hills of olive trees, fortified towns and picturesque villages. The Alentejo is one of the most traditional regions of Portugal and the infections unhurried pace of life is far removed from hectic cities or the Algarve. There are many historic towns in the Alentejo and the region is ideal for a touring holiday. Standout towns include Evora and Elvas; Evora is a pretty walled city while Elvaz is a heavily fortified town that defended Portugal from Spanish aggression. 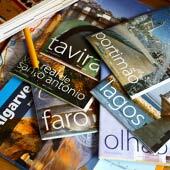 For a guide to Evora please click here. Coimbra is the fascinating university city of Portugal and is one of the oldest universities in the world. Coimbra comprises of narrow cobbled streets that lead up from the river up to the university complex. In these alleys students, with their distinctive black gowns, can be spied rushing to classes or lounging in the cafes. For a guide to Coimbra please click here. Coimbra makes for a great base to explore Central Portugal and this includes Fatima, Nazaré and Tomar. Fatima is the location that the Virgin Mary appeared to three shepherds and since become an important pilgrimage destination. Nazaré is charming resort town that is famed for its incredible surfing waves, having produced the largest wave ever surfed on. Tomar was the ancient religious centre for the Knight Templar. To truly escape the summer time crowds considering visiting the virtually unknown Alentejo coastline partway between Lisbon and the Algarve. The coastline surrounding Vila Nova de Milfontes and Porto Cova is wild and rugged with absolutely no tourist development as it is protected by a national park. A car is needed to explore the Alentejo coastline as there is limited public transport, but this is one of the most beautiful regions of Portugal.